In the February 2008 Seattle Magazine’s “THE BEAUTY ISSUE”, Dr Cynthia Pauley of Brookside Dental in Bellevue, Washington, was one of two experts in the Cosmetic Dentistry field asked to discuss, “More Natural-Looking Veneers” and “Gentler Whitening”. Veneers which are the very thin laminates that are used primarily on anterior teeth to cover stained, misshapen, chipped and broken teeth. They can be used to create beautiful smiles for people that have less than perfect teeth. Today’s veneers, which cover the front and biting surface of the teeth, have a natural translucency that did not exist with the first veneers used. The techniques for using them are improving, along with the materials, so that less natural tooth structure needs to be removed to accommodate the veneers. Between the existing technology and materials available today, porcelain veneer can be in place for a new smile within two visits to Cosmetic Dentist’s office. Costs will vary in different geographic areas and even within the same regions. Selection of a cosmetic dentist should not be made upon cost alone, although it is certainly a major factor to consider. Whether you need a complete smile makeover or only a smile enhancement, look for a Cosmetic Dentist that has advanced training in various aspects of Cosmetic Dentistry, uses modern techniques and materials, and may even have an on-site porcelain artist to create the veneers. This will allow them to create beautiful and natural appearing smiles. Always ask to see examples of their cosmetic artistry and pick a dentist around whom you personally feel comfortable. When discussing your Cosmetic Dentistry needs, it is not unusual to get a second opinion. Some dentists may be able to accomplish a beautiful smile with a conservative approach that will give you a smile that is just as beautiful as a more extensive and invasive approach. Everyone does not need 8 to 10 veneers on their upper teeth to have a beautiful smile. Often a beautiful smile can be accomplished with only 1, 2, or 3 veneers. It should be noted that it is much more difficult to create a beautiful smile when an odd number, 1, 3 or 5, of veneers are used than when an even number, 2, 4 or 6, are used to create your smile. The Brookside Dental website has 10 people with smile makeovers accomplished with a variety of different cosmetic dentistry techniques. Among these 10 is a person that has had either 1, 2 or 3 veneers to create their smiles as well as people with more extensive numbers of veneers used to create their smiles. Veneers should be used on anyone that cannot obtain the results they want with professional tooth whitening and/or composite bonding. Dr Cindy states in the article, “That we can now restore teeth to a very high level of esthetics and the future is only going to get better.” Additional information on porcelain veneers and smile extreme makeovers is available. 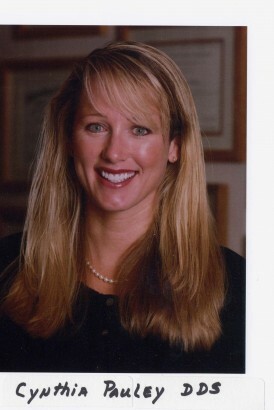 Dr Cynthia Pauley is in private dental practice in Bellevue, WA, and has taught Restorative Dentistry at the University of Washington, Seattle, WA, where she received an outstanding teaching award. Additionally, she was selected a TOP TEN COSMETIC DENTIST in both Cosmetic and Family Dentistry by Seattle Magazine in 2005.